It’s really hot in Malaysia these days. 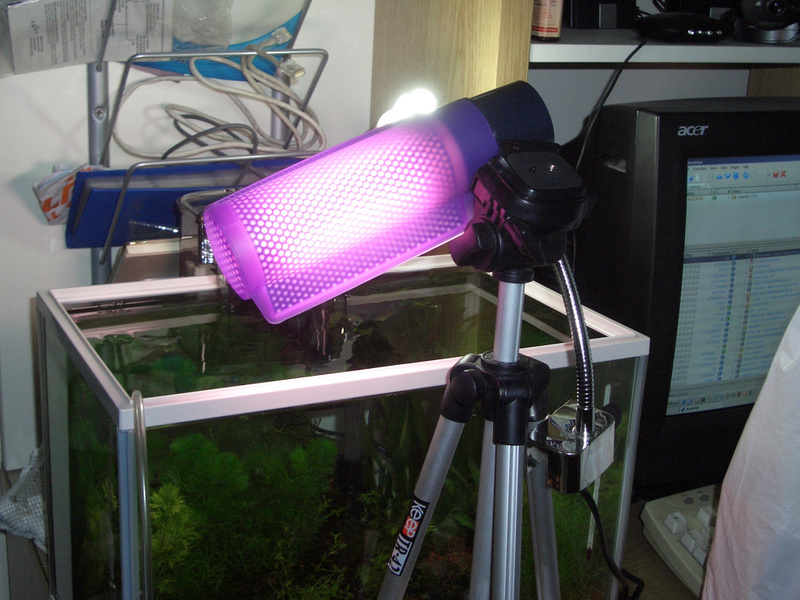 Usually, when I got home, the water temperature of my newly set up planted aquarium is as high as 31 degrees celcius. Hhhmm.. Not a good thing I think as from what I read, aquatic plants needs lower temperature, and the fact that I just set it up and it hasn’t mature, 31 degrees celcius is too high. I’ve been surveying around for the price of chiller, but RM1000 over, too damn expensive. Second hand chiller also can easily cost RM750 or more. 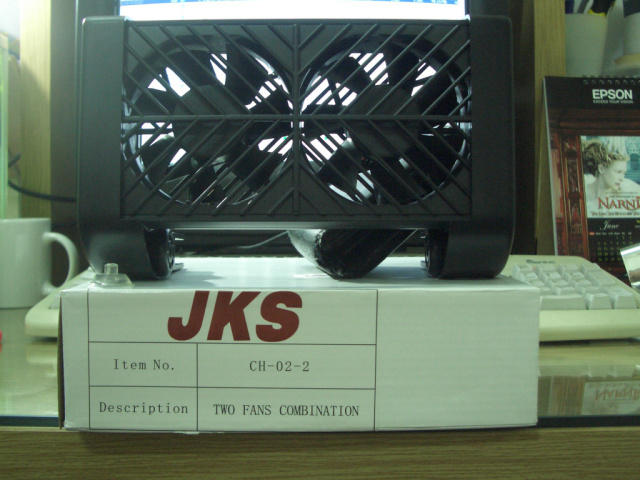 So, as a temporary solution, went to The Pets Wonderland today, and get this fan, which will blow the surface of water, and make it cool by the evaporation process. Even though not much temperature can be lowered, but at least it is a bit colder than the extreme 31 degress celcius. I have 2 pregnant guppies, and I’ve seen one that always shows the sign that she’s about to give birth – isolating herself, and sitting really still. But I didn’t really see any new fry in my tank. Perhaps the new fry has been eaten by other fish, or got sucked by the filter. Found this, and it’s cheap as well. Perhaps I can quarantine the pregnant guppy inside here and have the fry saved from being the meal of others. Anyway, the water test kit that I bought before is only good for one application. What a money waster. Since I’m here, I bought a JBL pH Tester. Back to office, then I realize the one that I bought test the pH in the range of 7.4 to 9. Nah… This will only test alkaline, but I believe the water of my aquarium is acidic. Went there again, and request for product return. 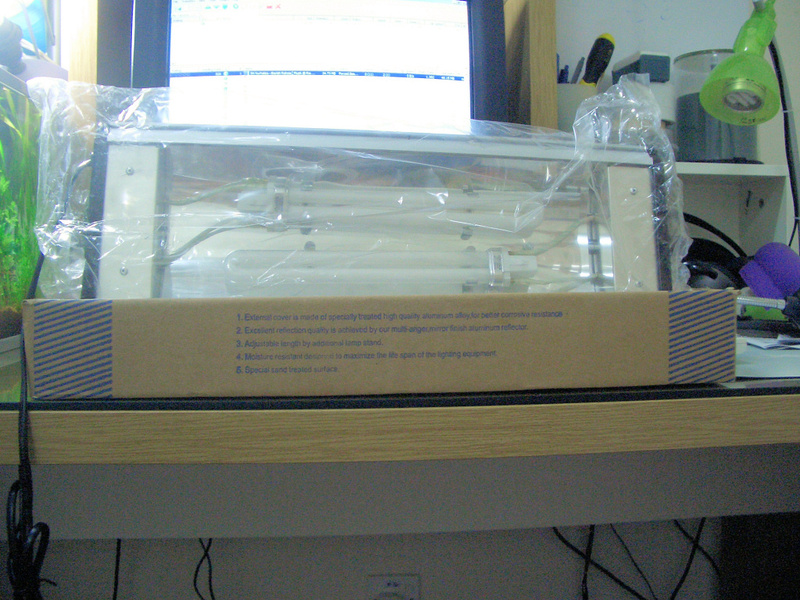 Suprisingly, 3 staffs attended me for that, with one asking me for what use I bought this pH tester. Hey. I think you shouldn’t question your customer like that, and I have the impression the fella thought that I buy it to be used in my coffee. 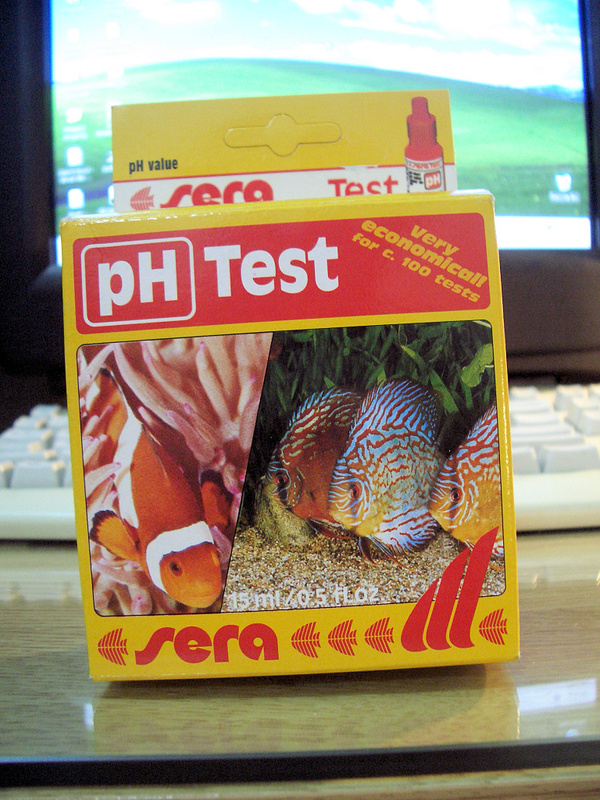 But anyway, manage to change to this Sera pH tester that has wider pH range to be tested, and it costs cheaper. Hhhmmm.. I should survey the price more next time. Since the excess money won’t be returned, I end up taking this. It is just another meal for my fished, and I think they will be glad. 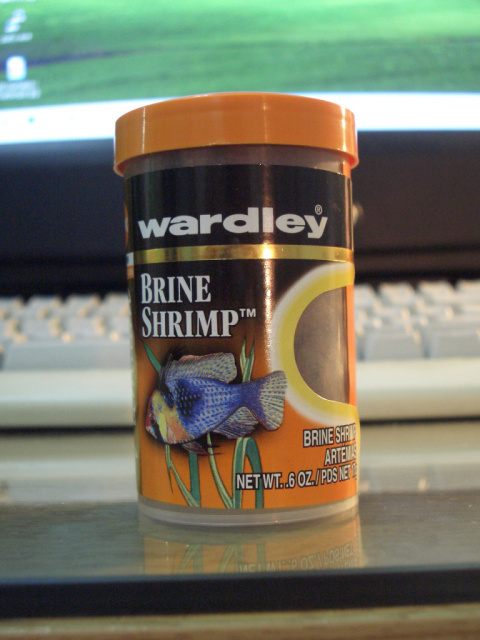 So my fishes have tried pellet type of food, flake type of food, dried tubifex worm, and tonight they have tried dried brine shrimp. They love it. Recently, I like to go to various pet / fish shop. Just to do price comparing, and also browsing through the things on sale at the shop. 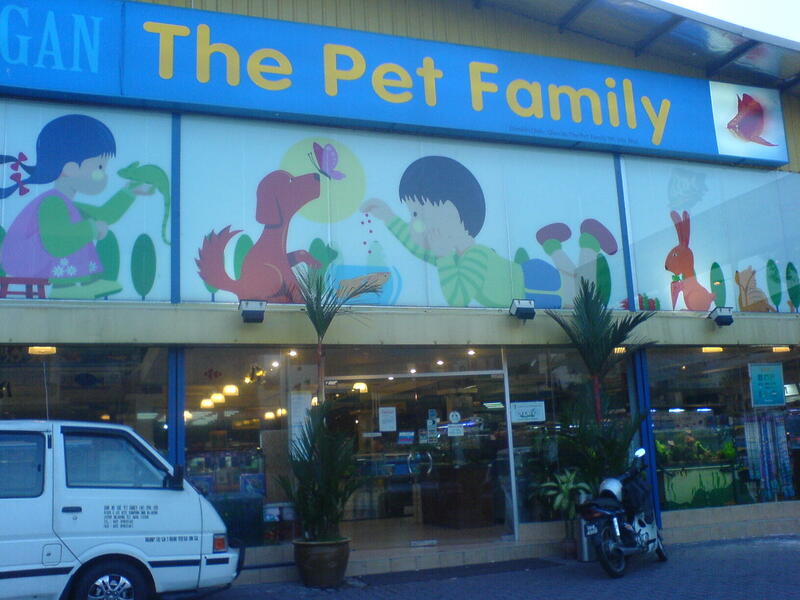 Got to know this The Pet Family shop from Marts, and I decided to pay them a visit. Fish selection wise, not that many compared to The Pet Safari. But still, all the fish shops in KL that I have visited can’t beat the selection of fishes that Chew Thean Yeang in Penang has to offers. Was browsing for the price of Otocinclus and Yamato shrimp. Otocinclus is RM6 each, and Yamato shrimp is RM3 each. Gulp. 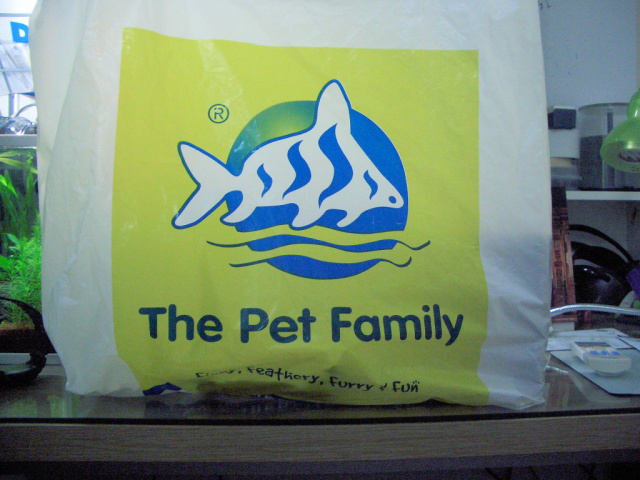 But in terms of fish/aquarium related product, I kinda like here as they have quite a lot, and also at cheaper price. And as usual, it’s shopping time again. I actually bought this Oceen Free hang onaquarium lamp for my new planted aquarium. Actually, I bought one last time, those clip one. 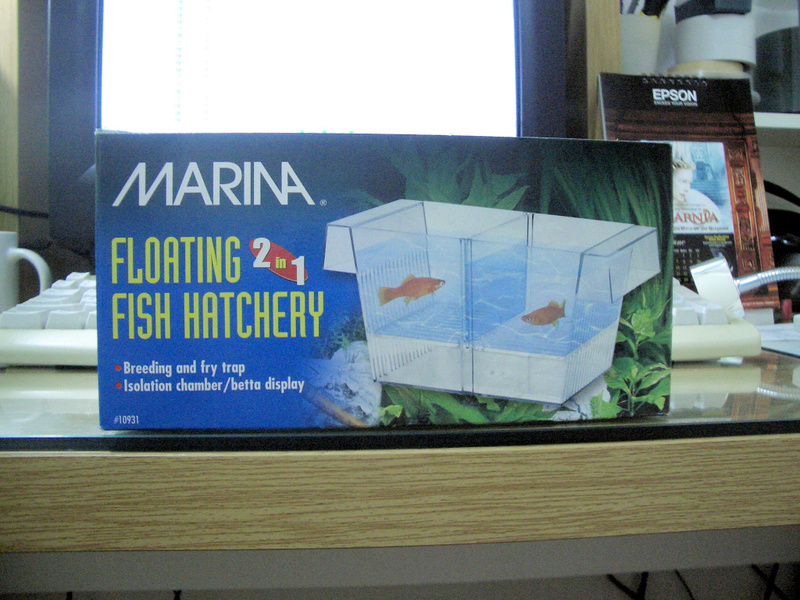 But there something weird about the design of the mini aquarium that I bought. It has plastic stopper the the cover will be placed on. For this, I can’t clip the lamp. I tried once, but after releasing my hand of the lamp, it snap out from the and nearly fall into the water. Man. My adrenalin pumping fast. So kids. Safety first ya. Unplug all the appliances first from the wall outlet before you do anything. So so far, this is what I do, hang the lamp to my camera’s tripod. It can’t be like this forever, so just bought the new lamp. That’s it. This will be the final shopping I did this month. 88 LFS is a nice place to shopping. But… the $$$ is quiet expensive. Did you know that there is a malaysia website regarding planted tank? I think u should drop in and check out that forum. Plenty of great info on setting up planted aquariums.